1.) Richard Anderson is independently owned and operated by Richard Anderson and Brian Lishak. What led them to open their bespoke tailoring house? After working at Huntsman for 17 years I felt very strongly that there was a gap in the market between traditional houses and the newer brands on The Row. I wanted to take some of the flare and newness that appealed to a younger generation and marry it with the tradition and quality of the older tailors. I felt tailors of ‘The Row’ were missing the opportunity to service gentlemen of a wider demographic for the sake of tradition. Having spent all those years working for Huntsman, a very traditional tailoring company, where the clientele were of aristocracy, CEOs of companies and predominantly 60 years of age, I decided I wanted to make tailoring less intimidating for gentlemen of my own age and younger. My dream was to give life back to ‘The Row’ and 2001 presented the opportunity to open the first bespoke tailor on Savile Row in 50 years, it was the perfect time for us to immerse ourselves with some of the most traditional tailors and offer a point of difference, taking the age-old craft of bespoke tailoring forward. When we opened the doors in 2001, Brian and I wanted to create an atmosphere that was less intimidating and more welcoming to appeal to a younger audience, customers of my own age group. 2.) How long has Richard Anderson been on Savile Row? Richard Anderson has been working on Savile Row for the past 34 years. The first 17 years of Richard’s career were spent working at Huntsman, learning from some of Savile Row’s greatest: Colin Hammick, Brian Hall and Brian Lishak; who in 2001 he opened Richard Anderson Ltd at 13 Savile Row with in 2001. 3.) What services / products does Richard Anderson offer? When we opened the doors in 2001, Brian and I wanted to create an atmosphere that was less intimidating and more welcoming. My dream was to give life back to ‘The Row’ and 2001 presented the opportunity to open the first bespoke tailor on Savile Row in 50 years, it was the perfect time for us to immerse ourselves with some of the most traditional tailors and offer a point of difference, taking the age-old craft of bespoke tailoring forward. Bespoke is our speciality and accounts for a large portion of our business. Part of my job as being a cutter is to improve the body. Make anyone look a little bit taller and slimmer, disguise any concerns they have – you have to take it all in to consideration. When I’m taking my series of measurements, the measurements don’t tell you everything. They won’t tell me how the customer stands, how they sit and it’s my job to adjust to these and create a suit that accommodates each person’s different movements. Many people come to us for bespoke, because ready-to-wear suits often don’t look good on them. The number of manmade hours that goes into one bespoke suit is reflected in the price. For some, the associated costs with bespoke can be daunting. It would be a missed opportunity for us to not offer Ready to Wear options for our clients too. Each season we introduce a selection of Ready to Wear options in-store. The introduction of ready-to-wear on ‘The Row’ is a stepping stone into bespoke. We regularly see the return of customers who started out purchasing ready-to-wear and then come back for a bespoke piece. It’s an opportunity to introduce Savile Row tailoring to the younger customers. Every suit that leaves our workshop is cut in the inimitable house style. All jackets are cut with a high armhole, slim shoulders with minimum padding, high gorge and long lapel, the waist cut with a slight flair to disguise the round of the hips. We also host Japanese Denim Jeans, Ventile Rain Coats and accessories which include Belts, Cufflinks, Pocket Squares, Socks, Ties, Braces, Weekend Bags and now books! (My second book, Making the cut has just been published). 4.) What sets Richard Anderson aside from other bespoke tailoring businesses in the local area? Although we are based on Savile Row, our name and tailoring have a global reach. We have a strong network of clients worldwide. 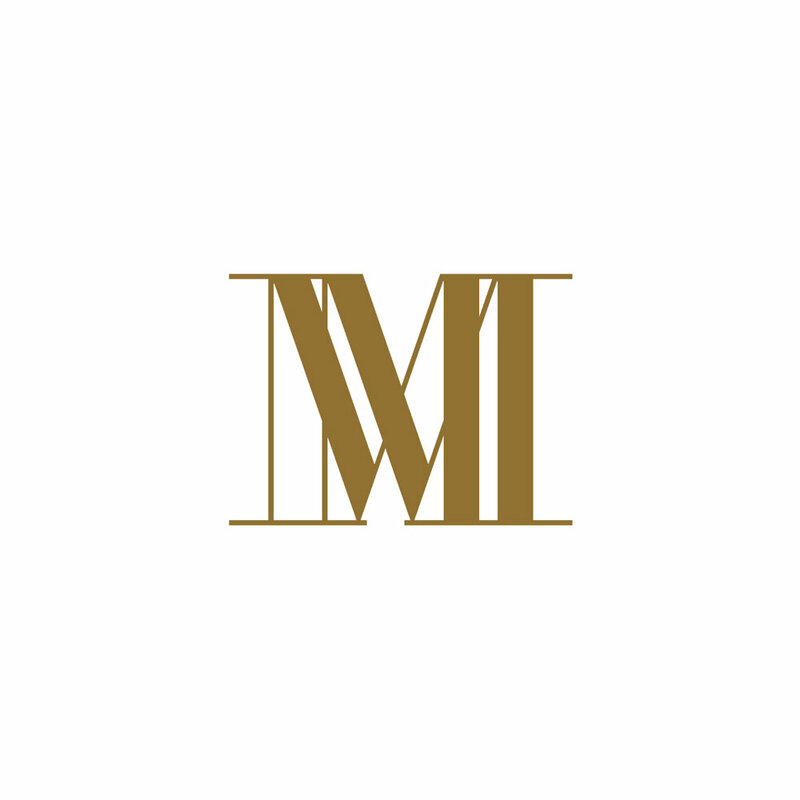 Since our inception, we continue to travel the world offering the finest cloths and fabrics to our bespoke customers from the U.S.A, Japan, Hong Kong and across Europe. We travel to the U.S.A three times a year, as well as regular dates to Japan, Hong Kong and Europe. 2017 was the first year we visited Hong Kong, and both trips were a success. We’re seeing an increase in customers in Asia and as a result we’re considering yearly trips to Shanghai. It excites us to provide old and new clients all over the world the chance to be fitted for a British suit in their own country. It’s an important part of the service provided by Richard Anderson. 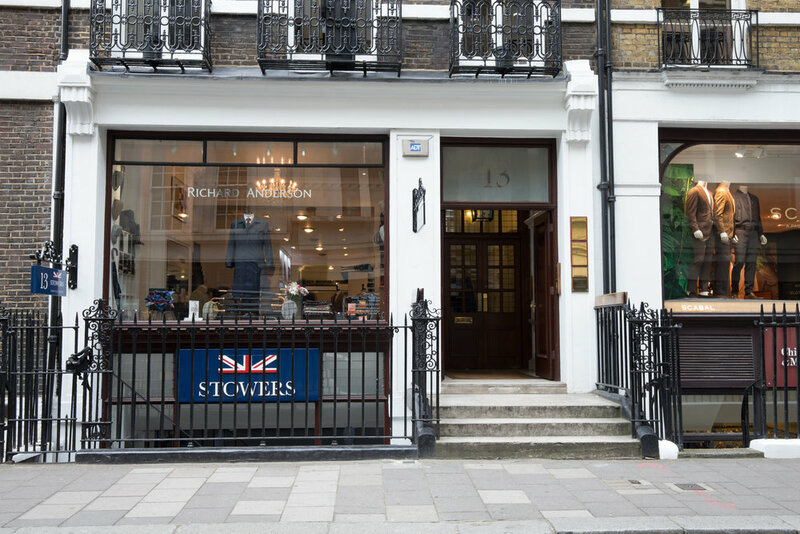 It enables the tailors to build relationships with their clients, understand their needs and, most importantly, work more swiftly than they would be able to if the client had to visit Savile Row for each fitting. To us measuring clients for a bespoke garment is not just about physique. A face to face fitting allows the team to study the way a client stands, moves and also understand each of their personal preferences, making for the perfectly fitted suit or jacket. 5.) Creatively, what inspires Richard and the team? Our biggest desire when we set up shop in 2001 was to combine tradition and innovative creativity and we’ll always stay true to that. It is up to us as experts to ensure that the quality of the cut, tailoring and service is the highest of standards. I have had the privilege of working with some great gentlemen throughout my career that have and continue to inspire me; Colin Hammick, one of the greats for his artistry, cutting and charisma. Brian Hall for his technicality and excellent organisation and last but not least my business partner Brian Lishak for his ongoing enthusiasm, dedication and wisdom. 6.) Have you seen any notable changes take place on Savile Row since you first arrived? Ready-to-wear and made-to-measure have definitely influenced the tailoring industry. Nowadays most tailors on Savile Row stock seasonal ready-to-wear collections and offer made-to-measure services, you would not have seen collections as such from Savile Row tailors back in the day. The introduction of ready-to-wear on ‘The Row’ is a stepping stone into bespoke. We regularly see the return of customers who started out purchasing ready-to-wear and then come back for a bespoke piece. It’s an opportunity to introduce Savile Row tailoring to the younger customers. I wouldn’t say ready-to-wear has threatened the existence of bespoke suits, if anything it has helped increase gentlemen’s appreciation for the quality of bespoke. For us at Richard Anderson, we understand that ready-to-wear and made to measure are always going to exist and we need to embrace that, our biggest desire when we set up shop was to combine tradition with innovative creativity and we’ll always stay true to that. It’s up to us as experts to ensure that the quality of the cut looks great, the making as well and the service that we give our clients in the absolute best. Since my beginning on Savile Row at 17 years of age, I’ve had the pleasure of cutting interesting garments through the workshop; some had a contemporary feel to them and others more classic. My second book ‘Making The Cut’ is a visually appealing book on garments that combine the two but all made relevant to today. I guess you could say a reflection of the type of tailoring Brian and myself dreamed of when we opened up Richard Anderson Ltd. Even morning coats have been given an up to date contemporary breath of life. I wanted to combine the history of the garments with a bit of fun as to who wears them- a book that clothing enthusiasts, tailors and students would find interesting. I would say that the greatest shift has been the weight of fabrics. Tailors are now working with much lighter weight fabrics around the 11oz – 12oz, back when I started working on Savile Row we were working with 16oz to 17oz. 7.) Do you have any style icons - past or present? There have been a few milestones in my career where I have been lucky enough to create bespoke pieces for actors, politicians, musicians and fashion designers including Bill Blass, Kiefer Sutherland and Henry Kissinger to name a few. I also made Georg Michael’s aubergine worsted suit and Brian Ferry’s sequin dinner jacket for the Princess Diana memorial concert held at Wembley Stadium in July 2007. 8.) What keeps people returning to Richard Anderson time and time again? Brian and myself have nearly 100 years combined experience working on Savile Row, having worked together for majority of those years together I believe our enthusiasm, continued passion for tailoring, and experience has certainly assisted with our success to date. Not to mention my team of hard working tailors, salesmen and loyal client base. Collectively it’s all a driving force behind the continued success of Richard Anderson Ltd. Together with our team of expert tailors, we pride ourselves on the house style, the innovations we bring to The Row, our customers, and the quality of service we offer. 9.) Are there any local Mayfair hot spots the Richard Anderson team like to visit when they are not busy working? Our local Mayfair hot spot would probably have to be the bar and or restaurant at Jason Atherton’s ‘’Pollen Street Social’’- perfect spot as it’s just round the corner from us. 10.) How would you describe the Richard Anderson brand in 3 words?